*This is an international contest. There is no restriction such as nationality etc of the author, but you have to be 18 years old on the 21st of March 2017 to enter the contest. One of the most seasoned sorts is fired tile - these are heated mud and have been utilized by and large in the washroom for dividers and floors. There are additionally plastic tile and grout cleaning service in indianapolis which have been utilized chiefly for dividers and roofs. 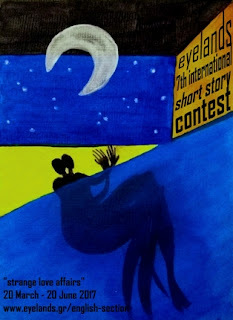 Excellent post about "EYELANDS 7th INTERNATIONAL SHORT STORY CONTEST"